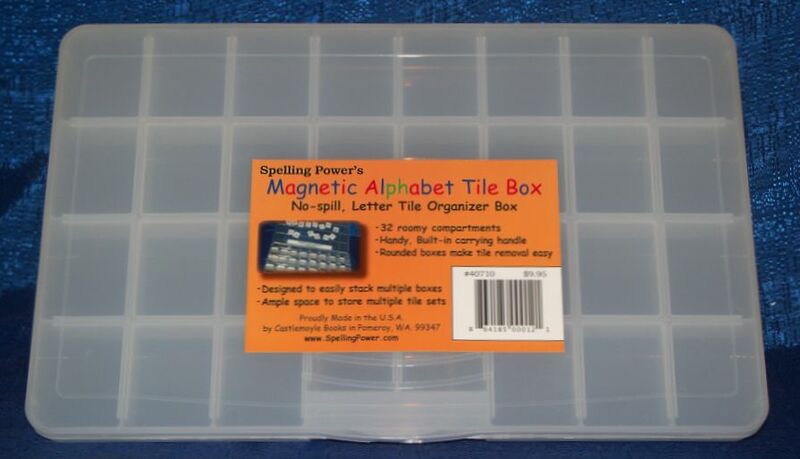 Description: The Spelling Power Magnetic Alphabet Tiles Box Set comes in a handy 32-compartment, no-spill box. The tiles have red vowels with blue consonants in both upper and lower case. 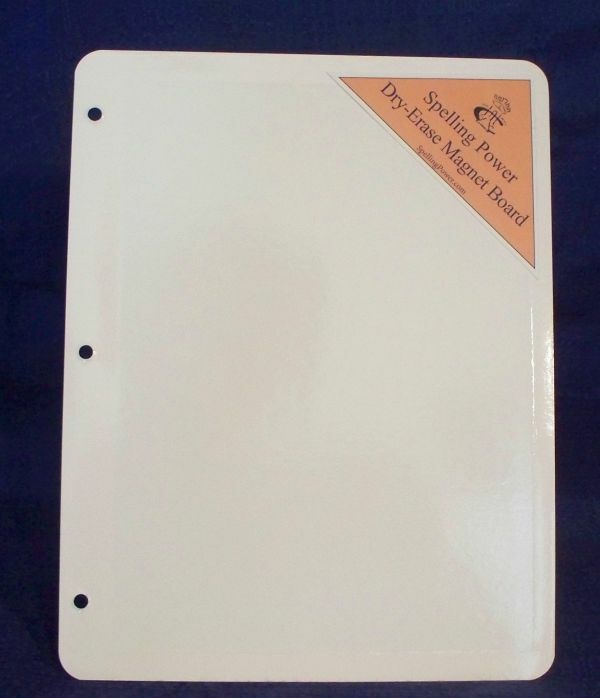 Blank tiles, apostrophes, and hyphens are also included. Spelling Power's Magnetic Alphabet Tiles include more letters and punctuation marks than any other magnetic alphabet sets available. 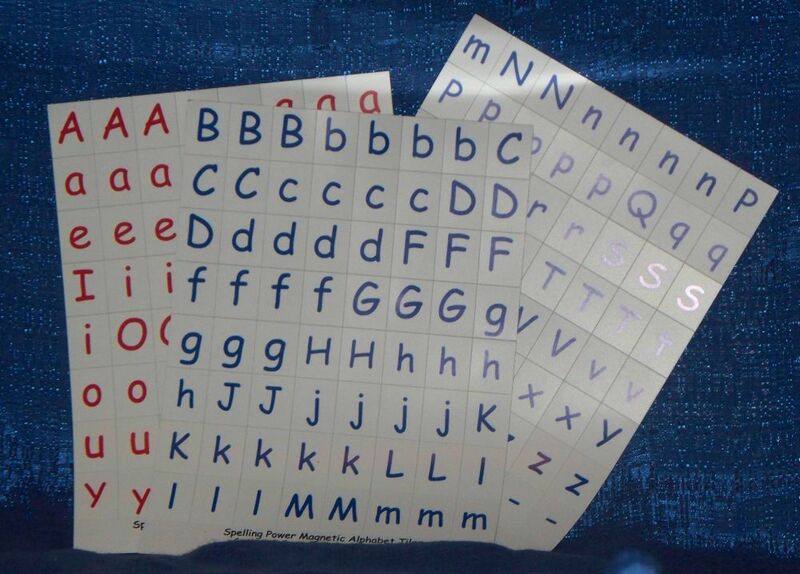 Your set contains 2 - 8 of each lowercase letter and 1 - 3 of each uppercase letter. The tiles are a child-friendly one-inch by one-and-a-quarter-inch. Blank spaces, hyphens, and apostrophes are included in this set to allow your students to form contractions and different types of compound words. 192 tiles in all! Victoria loves building words with these tiles. Your children will love learning phonics concepts and practicing spelling skills with Spelling Power's Magnetic Alphabet Tiles. These sturdy letter tiles take the stress out of practice because mistakes are so easily corrected. This encourages learners to experiment with reading and spelling skills. Simply slide away one tile and insert another. 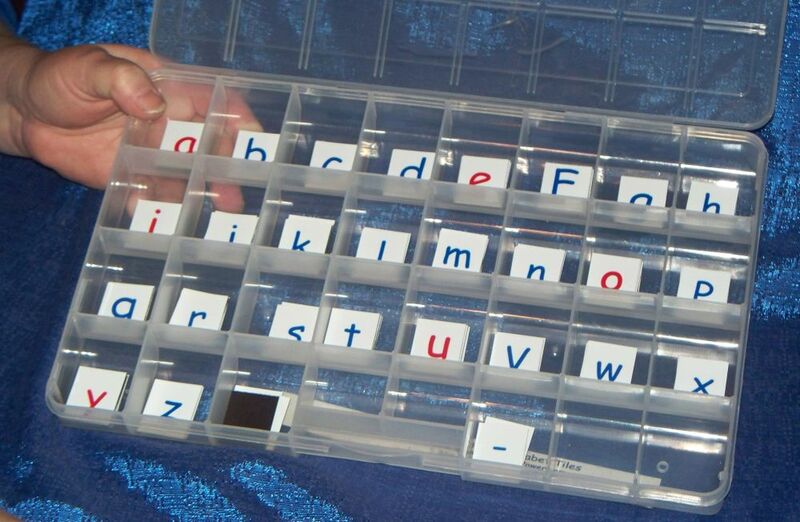 Magnetic Alphabet Tiles are easy to move around on a magnetic surface, table, or desktop. Because they are magnetic they can even be used in the car! Tiles come with vowels in red and consonants in blue. Time and research proven, Montessori-style color-coding provides valuable visual clues and self-checking devices when your student forms words with the Magnetic Alphabet Tiles. Simply show your student how every syllable must have at least one vowel (red letter). The 1" by 1 1/4" tiles are perfectly sized for student individual and small group work as well as teacher demonstration. All letters have the same consistent baseline so letters will line-up when forming words. 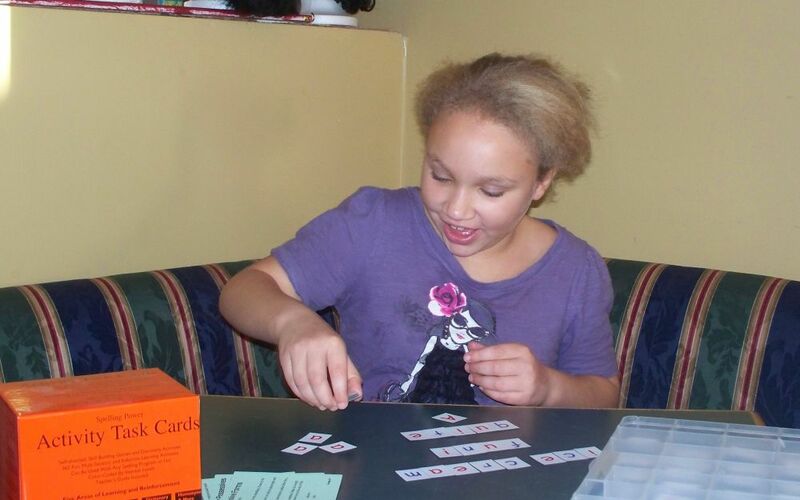 These sisters both enjoy using Spelling Power's research-based learning activities. 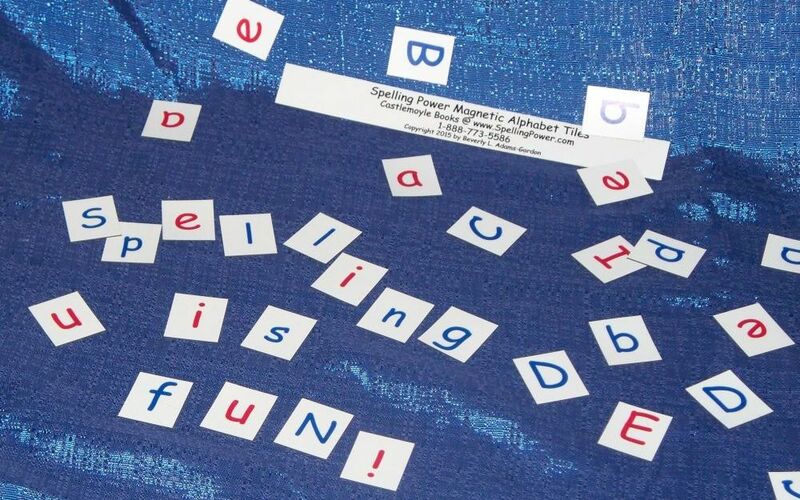 While the Magnetic Alphabet Tiles are designed to be used with the Spelling Power program's skill-building activities, they can be used profitably with any spelling or beginning reading program. You will find suggested activities for using your Magnetic Alphabet Tiles included in the package. 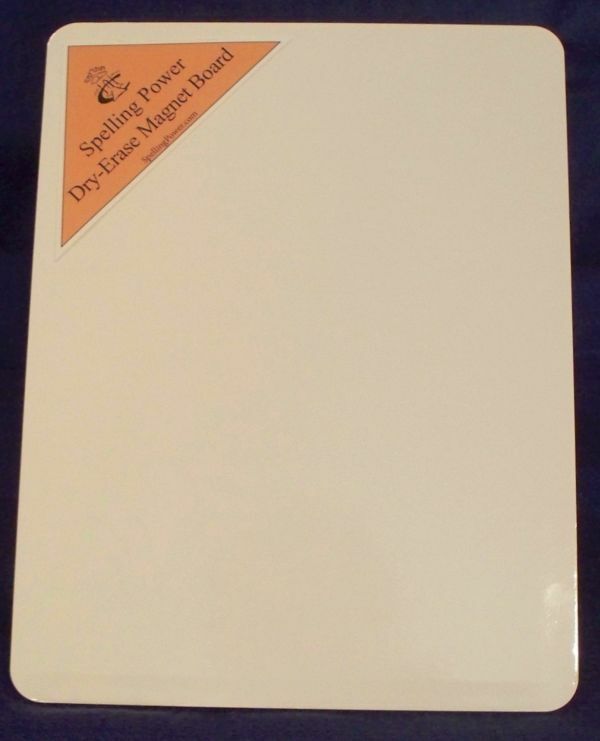 Additional activities for their use are found in the Spelling Power manual and in the Spelling Power Activity Task Card Box. You can also purchase additional sets of tiles without the no-spill storage box or additional storage boxes.